what can I say all good.. 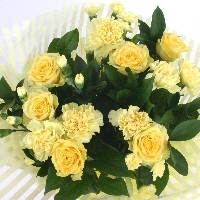 Disappointed that flowers seemed to differ from picture ordered but recipient seemed pleased with what she got. 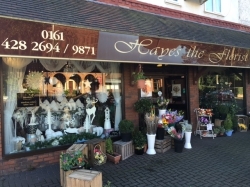 Beautiful flowers with great service! Very happy with service and flowers. 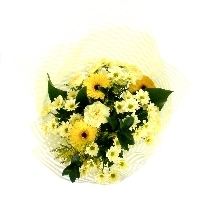 flowers were great. service wonderful. 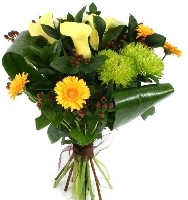 A classic funeral sheaf,a seasonal selection of beautifully selected flowers. 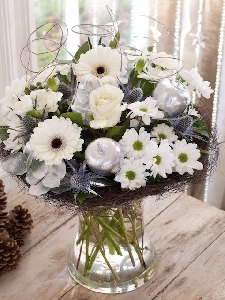 White roses and white carnations sit beautifully together in this classic handtied,to avoid substitution of flowers please give 1 days notice. 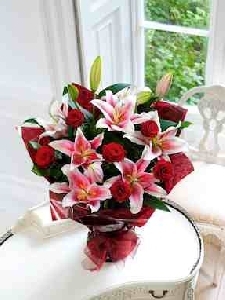 Heart's DesireThis hand tied is made with 6 red roses and pink oriental lilies. 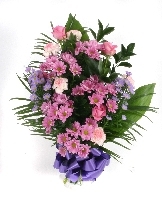 Which means after the roses have finished flowering you will be left with the beautiful pink lilies. 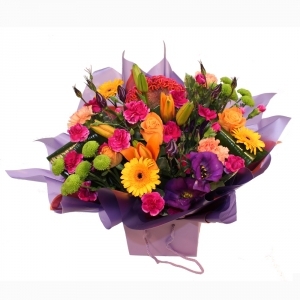 We can deliver your order to an office or home. 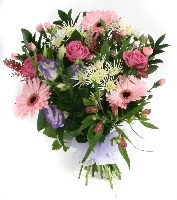 Pink Dream Lily hand tied flower bouquet, This type of flower will be delivered mainly in bud and will open in a star shaped style very simple. 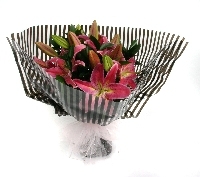 Lilies very beautiful and very sophisticated!